Designed for the pharmaceutical industry. 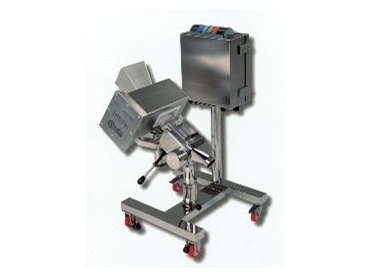 THE new THS/PH Metal Detector provides accuracy and convenience to the pharmaceutical industry in the inspection of their products for contaminants. Available from Heat and Control , the device is sensitive to both magnetic and non magnetic metals and has a high immunity to environmental interference. The device introduces an absolute innovation in terms of programming, with compliance with ISO 9001 standards certification for the control of product under test. The metal detector is designed so that it is able to communicate with other devices connected in a local or remote communications network. Controlled by a microcomputer, all of the operating parameters of the detector may be programmed remotely and can also be set to inspect products with difficult detection characteristics, which provide convenience and a simple and straightforward way of dealing with difficult products. Audio and visual alarms are an integral part of this product, so users are aware if something is detected.